The Amber Rail Freight Corridor reaches its operational phase with the publication of paths for international freight trains in mid-January 2019. 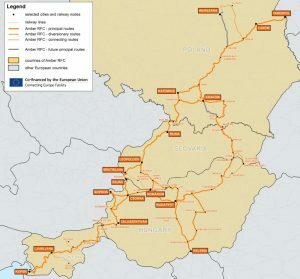 Amber Rail Freight Corridor No.11, the first new EU Rail Freight Corridor, facilitates competitive cross-border rail freight between important industrial centers and intermodal terminals of Poland, Slovakia, Hungary and Slovenia, including the Adriatic seaport of Koper. In addition, the corridor provides effient links to Euro-Asian railway routes in Malaszewice at the border to Belarus and towards South-Eastern Europe via Kelebia, border station to Serbia. With the new corridor the four participating countries took the lead in closing some gaps which remained in the network of EU Rail Freight Corridors, increasing the resilience of the network as a whole by providing more route options. 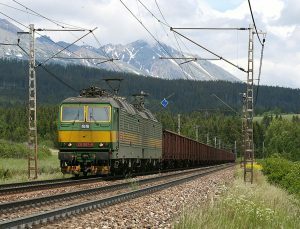 The four countries, five railway infrastructure managers and one capacity allocation body of the corridor are committed to develop the Amber Rail Freight Corridor as an integral part of the network of Rail Freight Corridors to the benefit of freight train operators, terminal managers, rail logistics companies and shippers. Starting January 2019, the Amber Rail Freight Corridor offers pre-arranged catalogue paths for the timetable year 2019/2020. Capacity requests are to be addressed to the Corridor One-Stop Shop which provides all necessary information about the infrastructure capacity along the corridor.